When you’re searching for a location and a hotel, inn, bed and breakfast or guest house, where do you start your search? Google? Bing? Yahoo? It really doesn’t matter, because you will probably see the same results everywhere. Why? Expedia, Bookingdotcom, Tripadvisor, AirBnB etc are all fighting for your lodging dollars. Why? They make their money by charging a commission to the hotels, inns, bed and breakfasts and guest houses that are listed on their websites. So the more rooms you book the more money they make. As a consumer, what does this mean for you when you book through one of these? Easy to book and cancel? That’s what the ads say. Are you sure? Hotels, inns, bed and breakfasts and Guest Houses want you to know that you will be getting the best lodging, in your ideal location at the best price by booking directly with the property. Book Direct. What does that mean for you? Once you’ve found a place that fits your needs, simply type the name of the hotel in the search box to find the website. Sounds easy enough. However, what you will find is a list with the name of the facility but with a link to expedia, bookingdotcom,etc. Scroll down below all of those ads to find the name of the hotel. There may even be more places listed who do not use the travel sites. Book on a travel site and you are their customer. Need to cancel? Want a refund? Change dates? It can be a challenge because the travel site is the middle man. 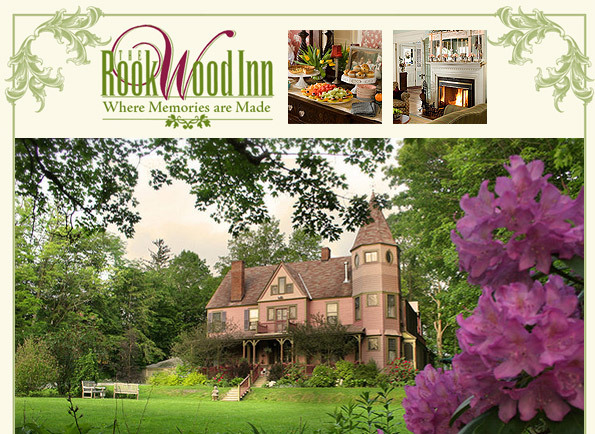 Book directly with a property, like The Rookwood Inn, and you are their customer. Any changes are easily handled because you are their guest. You will find a place to return again and again. Adapted, with permission, from a blog by Chris Mason, Chef/innkeeper at the Parish House Inn located in Ypsilanti, MI for 24 years.